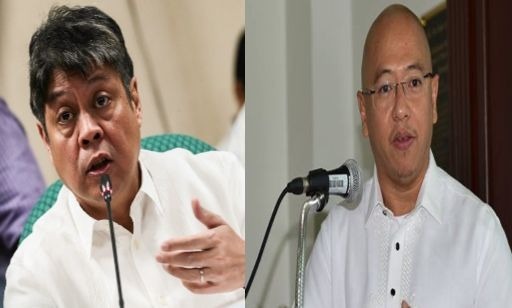 The Liberal Party's Senator Francis Pangilinan and former Solicitor General Florin Hilbay, while topnotchers of the bar examinations, are overrated and are not masterful of the law, according to blogger, benign0. This opinion is subsequent to the move initiated by Liberal Party senators to issue a resolution petitioning the Supreme Court to reconsider its decision to oust Chief Justice Lourdes Sereno through a quo warranto proceeding. Sereno is an impeacheable officer, and the Constitution states that for her to be removedn from office, an impeachment trial by the Congress is necessary. The resolution however, did not push through as only 14 of the Filipino senators voted for it. Following the senatorial debate on the issue where Pangilinan was among the most vocal in his cause to issue the resolution, the anonymous blogger criticized the senator because he allegedly failed to use his knowledge of the law, despite being a bar topnotcher. "Despite being a lawyer, Pangilinan failed epically to understand this basic mandate the Supreme Court enjoys. Good thing he was just as epically burnt in an exchange with fellow Senator Ping Lacson who had skillfully forced Pangilinan to contradict himself before the Filipino public and forced to admit that the Senate cannot possibly overrule the Supreme Court on this matter," he said. Under the justice system, the Supreme Court is the final arbiter of legal disputes. "Many Netizens had already long been pointing out that the epic tantrum being thrown by Yellowtard senators who signed a resolution to challenge the Supreme Court ruling on the now never-had-been-chief-justice Lourdes Sereno is idiotic. It is idiotic because only the Supreme Court can rule on the basis of their sole power to interpret the law. And once the gavel is dropped, whatever is ruled is final," he said. He cited De laSalle university professor of political science Antonio Contreras who hit Pangilinan. "From now on, everytime I am challenged by people because I am not a lawyer, I will only have one retort: "Remember Kiko Pangilinan," Contreras said. Benign0 said it is bizarre how a non-lawyer had to point out to Pangilinan the error in his thinking. "Woke up to a world w a broken Constitution. Let's convince the Justices of the SC that they have the power to fix it; that it's more about preserving the Consti & their legacy than anything else. "That's how we're gonna win. Not fighting what we hate, saving what we love." The blogger said that it is no wonder that the LP is getting nowhere, as he said that they are being led by bozos. "This dysfunctional amongst the Yellowtards is bringing down the entire Philippine Opposition," he said. He further added that Filipinos should think twice about hiring Liberal Party lawyers.